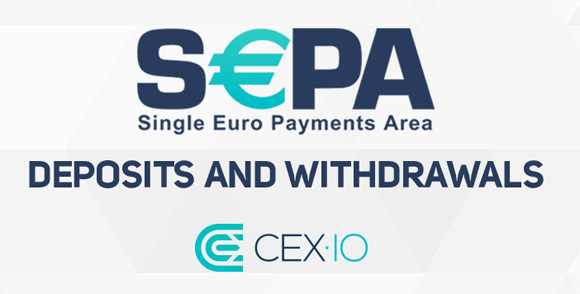 Some good news for the European users of the CEX.IO Bitcoin cloud mining and trading platform – the introduction of a new payment instrument SEPA (Single Euro Payments Area). After the recent addition of USD and EUR fiat trading the addition of SEPA support for Deposits and Withdraws makes the trading part of the service even more attractive to users from Europe – easier, faster and with lower fees. SEPA is a European Union regulation that integrates payment systems, which uses common standards, faster settlement and simplified processing. With the new feature available, the users will benefit with a driving down cost: all withdrawals can be processed with a lower fee – €0.4 for SEPA users as opposed to the €5 for a standard international payment. Moreover, the deposits are totally free, so no additional taxes there.